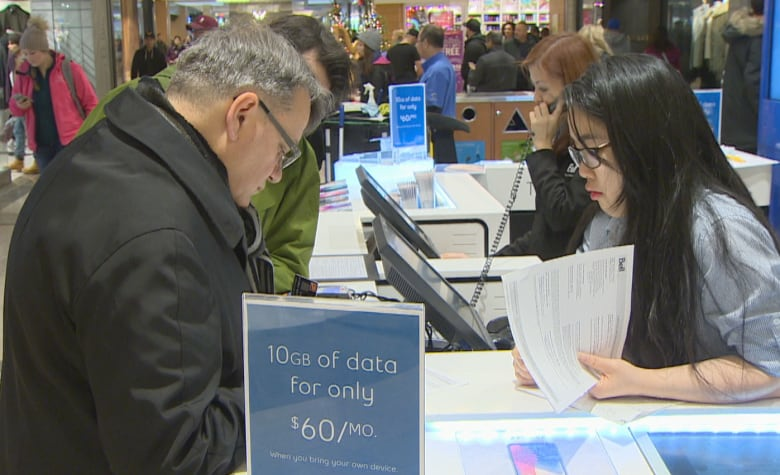 Telus, Rogers and Bell are each raising the price on their coveted $60 10 GB phone plans. The move has sparked complaints from customers who feel they were lured into a deal that no longer exists. "It's no longer a great deal," said Ravind Nanubhai of Brampton, Ont., after learning that his monthly $60 plan with Telus is jumping to $70 in March. "I spent quite a number of my hours in the day trying to get this deal and now I feel just sort of duped." For about a week in December 2017, the three telcos offered the $60 bring-your-own-phone plan with 10 GB to customers in Ontario, Alberta and B.C. Already this month, Rogers and its discount brand, Fido, raised the plan's monthly price by $5. "It's such a customer-B.S. move," said Steve Mann of Vancouver who got his notice in January that his $60 Fido bill would soon climb to $65. "These are fantastically profitable companies and you're telling me you have to impose an eight per cent increase?" The big three telcos offered the deals in late 2017 after newer competitor, Freedom Mobile started marketing a $60 plan with 10 GB in an attempt to acquire their customers. Consumer advocate Laura Tribe said customers' frustration with the price hikes is rooted in the fact that many Canadians believe they pay too much for their wireless plans. She said the $60 deals made people feel they were finally getting a break from one of the major providers. "It felt like they had won the lottery," said Tribe, executive director of Open Media, an advocacy group in Vancouver. "To have that taken away feels like a bit of a kick in the teeth." But she's still unhappy with the price hike, because she said she was under the impression the terms of her plan wouldn't change. "I can't believe they can do that," said Schleihauf who lives in Rodney, Ont. "I would call it gouging." Bell, Rogers and Telus said they can raise the price of the $60 bring-your-own-phone deals because they aren't fixed-contract plans, but instead, month-to-month deals. "In a highly competitive marketplace we occasionally adjust prices on these types of no fixed term plans," said Bell spokesperson Nathan Gibson in an email. Rogers spokesperson Bill Killorn said in an email that the company regularly reviews and adjusts plans "to reflect ongoing network and service investments." He said the current $65 plan with 10 GB still offers "great value." Telus justified its $10 price increase in a letter to affected customers by explaining that it has been working hard to "dramatically improve" its network. "We do not take the decision to increase the cost of services lightly," said spokesperson Liz Sauvé in an email to CBC News. Telus customer Howard Lorentz argues that, in his case, Telus had no right to hike the price. 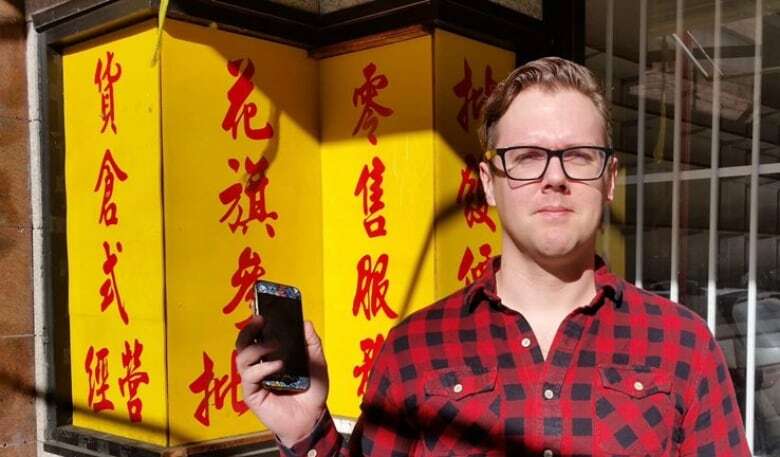 He claims when he signed up for the plan at a Telus store in Kitchener, Ont., the employee he dealt with assured him the price wouldn't change. "They have done a bait and switch," said Lorentz who gave up a cheaper plan with less data to take the $60 deal with 10 GB. Lorentz said when he called this month to complain about the $10 price increase, a Telus rep told him that she too had previously thought that the plan's price was permanent. 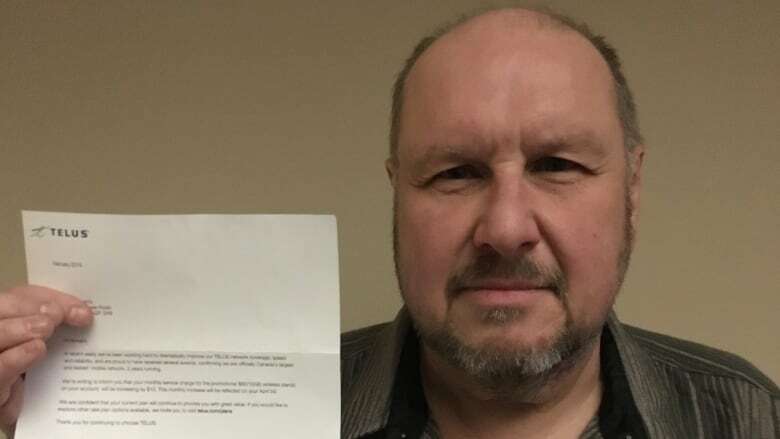 Lorentz also showed CBC News his plan agreement which states: "We guarantee that during your commitment period, your monthly plan services and rate won't change unless YOU say so." Telus didn't address Lortenz's claims about his conversations with Telus employees. But it said that the "commitment period" referred to in Lorentz's agreement is only good for 30 days on a month-to-month contract. "They told me that it never expired in the store. Now they say it expires every month. Who are you supposed to believe?" said Lorentz. After complaining to Telus, he said he was offered five extra GB a month, which he declined because all he wants is his $60 deal back. When Fido customer Mann complained, he said he was given a $30 credit and 3 GB of extra data per month for a year. All customers in this story have filed or plan to file a complaint about the price hikes with the Commission for Complaints for Telecom-Television Services — an industry organization that resolves telecom customer disputes. Open Media's Tribe said the best remedy is more competition which will help drive down prices — and keep them down. The CRTC, Canada's telecom regulator, launched a review this week to examine the mobile wireless market and whether more action is needed to improve affordability for consumers. Canadians can submit comments until May 15.